A total of 236 unregistered migrants, who were planning to unlawfully enter European countries, and a smuggler were detained Friday in western Turkey's Edirne province. Gendarmerie units captured the illegal migrants during traffic controls conducted in the villages of Bosna, Yenikadın and the districts of Uzunköprü and Meriç, which are all located near Turkey's border to Greece. The migrants were later identified as Syrian, Afghan, Pakistani, Iraqi, Bangladeshi, Moroccan and Vietnamese citizens. 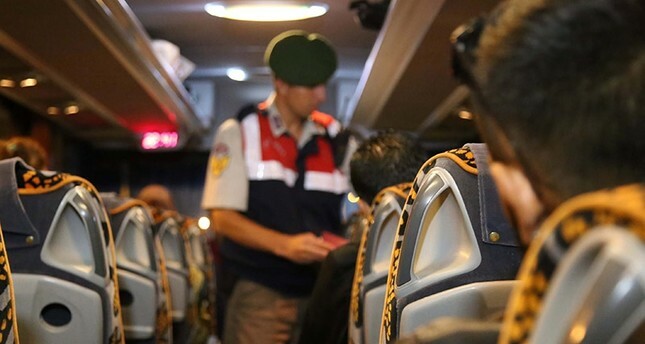 A suspect, accused of organizing the illegal trips, was referred to court after necessary procedures at the Edirne Provincial Gendarmerie Command, while the captured migrants were sent to the Provincial Directorate of Migration Management after registration procedures. Turkey is a popular route for many illegal immigrants from Middle Eastern and Asian countries. Hundreds of migrants smuggled into the country are captured every year near the borders in western Turkey, or its Aegean provinces.